Internet Aur Jadeed Zarai Ablagh Deeni Maqasid Aur Uqood o Muamilat Ke Liye Istemal presented by Islamic Fiqh Academy India. 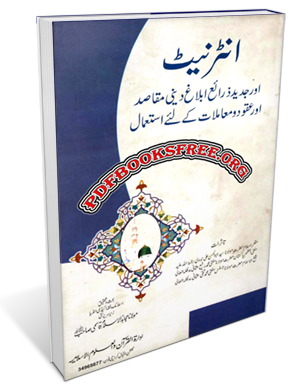 This book is a collection of scholarly Islamic thesis on the topic of “Using Internet and modern media, like TV, Radio and Mobile phones for the purposes of religious matters , marriage (Nikah) and other transactions (Selling and purchasing). This book is now available here for our users in high quality Pdf format. Click on the below mentioned links to read online or download full book to read offline.